This Christmas, it was really fun to see Natalie noticing and getting excited about all the various parts of the holiday season– last year she was just too young to put it all together. She can recount the Christmas story and sing Christmas songs. I think my favorite was today’s “Twelve Days of Christmas/Have a Holly Jolly Christmas” mashup– hilarious!! 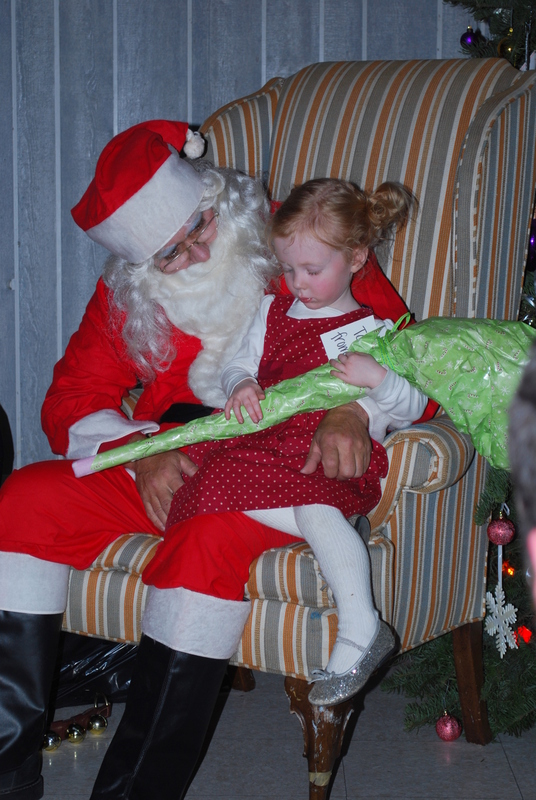 She loved driving around looking at lights, reading books, decorating, presents, reindeer, everything. Every year at the McLaughlin family party there is a Santa, who hands out gifts that each parent brings for their own kids. In the future we plan on telling Natalie that Santa is not a real person but a fun tradition based on Saint Nicholas, however this year I don’t think she could quite comprehend that. In any case, she was SO EXCITED. I thought she was going to be too shy to go up and claim her gift, but no! She knew just what to do. Yes, her present was the strangest looking one. And no, its not a mop. 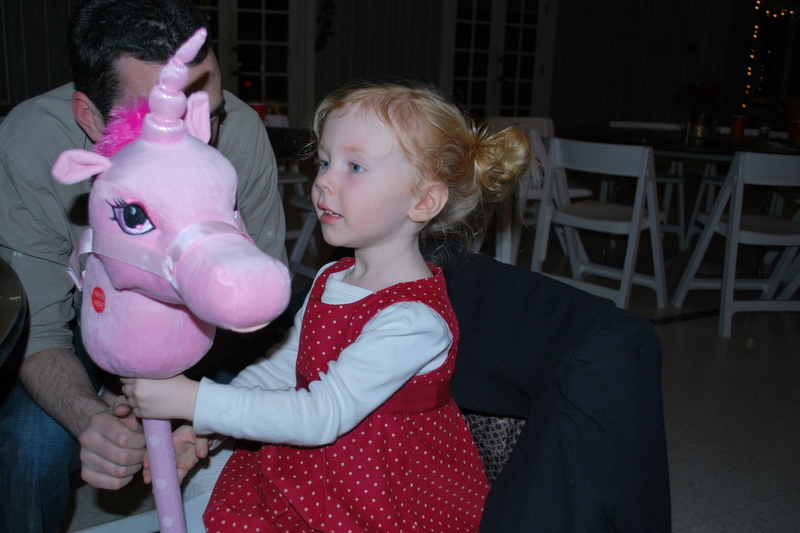 She loves her pony, who has gone through a variety of names, including Carol, Noni, Pink Mr. Ed, Rudolph and Pink Texas. Such typical Natalie. Here’s all the McLaughlin cousins. Nata had such a fun time dancing and singing with the other little girls. She is very friendly and gets along easily. She was a little worried that the baby next to her was going to touch her stick pony, though, and kept inching away while we were taking pictures. 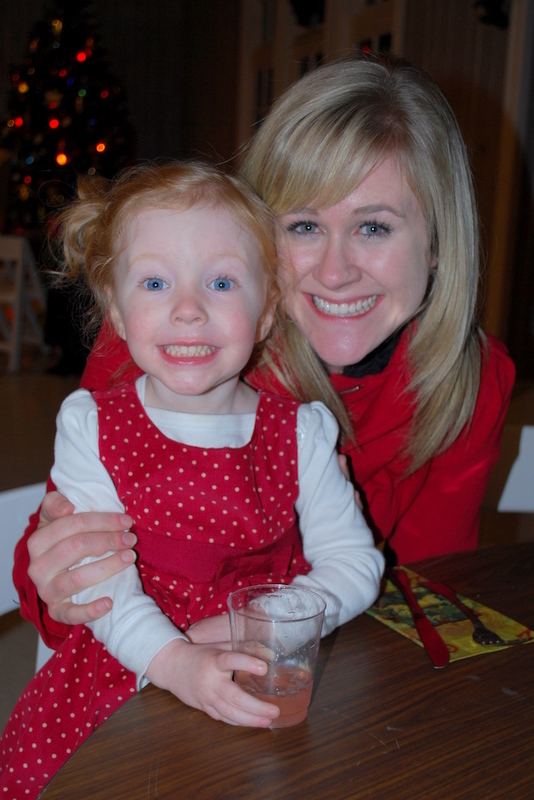 I think this is such a cute picture of Natalie with my sister Laura! 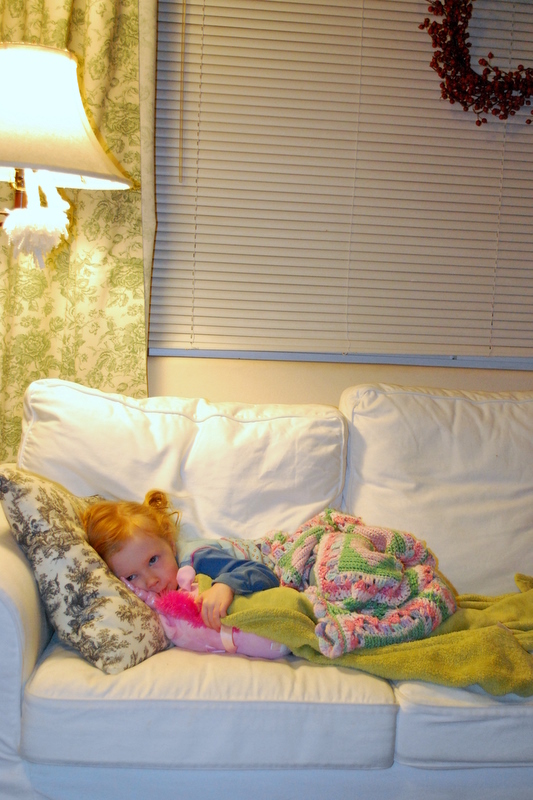 We came home late that night, and while we were putting Ben to bed, Natalie made up a little bed for herself and her pony on the couch. Isn’t that sweet? 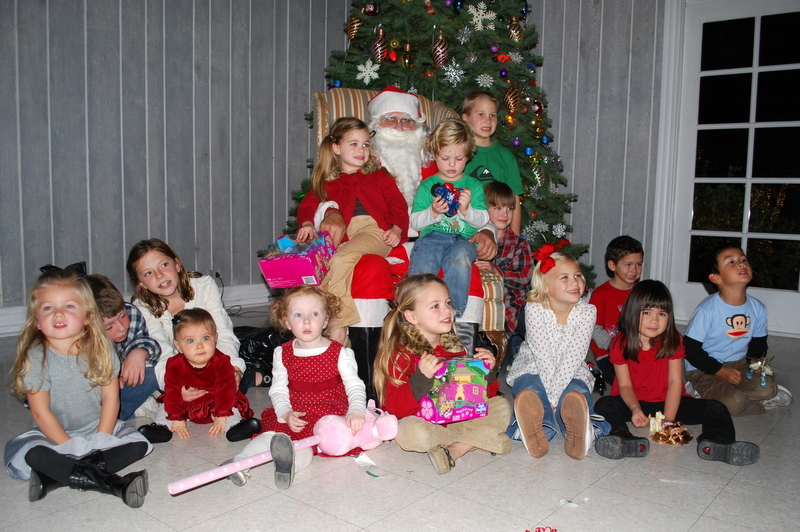 This entry was posted by Mollie on Tuesday, December 29th, 2009 at 11:03 pm	and is filed under Life & Times, Natalie. You can follow any responses to this entry through the RSS 2.0 feed. You can leave a response, or trackback from your own site. We think it’s wonderful that there are still stick ponies for children! Our children played with them over 50 years ago. We can tell that Natilie will take good care hers. Has she settled on a name for it?